Every minute, three people in the U.S. are diagnosed with diabetes, for a total of 20.9 million people living with the disease (as of 2011, so that number is probably even higher now). That’s up from just 5.6 million in 1980. Currently, about 7% of people in the US have diabetes, but that doesn’t actually tell the whole story. An estimated 86 million more have pre-diabetes (blood sugar high enough to be dangerous, but not enough to be diabetes. Diabetes is sometimes called a “lifestyle disease,” meaning that it’s caused by lifestyle factors like diet and exercise, rather than a particular germ or gene. It’s often (but not always!) associated with other lifestyle diseases like obesity, high cholesterol, and high blood pressure, because the same kinds of lifestyle patterns tend to cause more than one of those problems. All those traditional groups eat differently, so who do you want to imitate, the ultra low-carb and diabetes-free Maasai, or the high-carb and equally diabetes-free Kitavans? Diet isn’t the only difference. Lifestyle factors like sleep and exercise also have a huge effect on diabetes: it’s not just food. A diet that works in the context of one lifestyle might not work in another. Prevention isn’t the same as cure. People who’ve lived in the modern world their whole lives might need more intensive intervention than people who’ve always been healthy. For a really comprehensive look at diabetes, we need to get beyond trying to imitate hunter-gatherer groups or cavemen and look at what kinds of diet changes work for humans in the modern world where we all have to live. So here’s closer look. It does get pretty science-heavy, but hopefully at the end you’ll understand what aspects of Paleo make it a good diet for diabetes, and what you might want to play around with to find something that really works for you. Diabetes starts with the hormone insulin. Insulin does all kinds of things, but one of its most basic jobs is to manage blood sugar. When you eat anything containing carbohydrates, your body breaks the carbohydrates down into simple sugars and releases them into the bloodstream (the process is slightly different for different types of simple sugars, but this is the basic idea). High blood sugar is dangerous in the long term, so insulin is released in response, and the insulin guides the glucose into your muscles, liver, brain, and fat cells. Storing glucose in fat cells isn’t bad all by itself. That’s how you store energy to use between meals. Otherwise, you’d need to be eating constantly, and that would be incredibly annoying. Storing glucose in fat cells lets you save some of your calories for later, so you can use them at 4 p.m. even if you ate them at noon. Obviously, if you keep storing more glucose than you ever need to use, you’ll gain weight, but the system of storing glucose in fat cells isn’t inherently dangerous. OK, but what does this have to do with diabetes? Every type of diabetes involves some kind of problem with insulin regulation leading to high blood sugar. People with Type 1 Diabetes don’t produce insulin because of an autoimmune disease in the pancreas. When they eat carbohydrates, they have nothing to bring down the dangerously high levels of blood sugar, and they have no way to store that glucose for later. 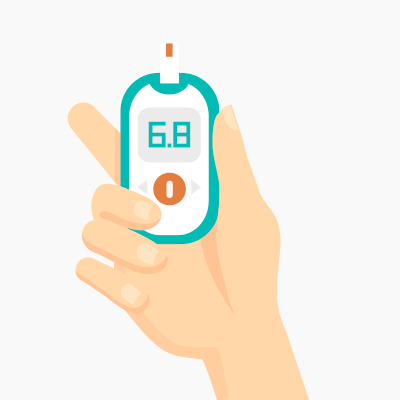 People with Type 2 Diabetes produce enough (even too much) insulin, but their body is insulin resistant: it doesn’t listen to the insulin signals, and the extra sugar in their blood doesn’t get stored, so it stays hanging out in the bloodstream, being dangerous. Women with gestational diabetes have basically the same problem as people with Type 2, but temporarily and only during pregnancy. The chronically high blood sugar is what causes the diabetic side effects like numbness/tingling, vision loss, slow wound healing, and even the need to amputate limbs. All three types do have some basis in genetics, but genes can’t account for the whole story. Genes haven’t changed that much since the 1980s, but rates of diabetes have risen incredibly. To account for that, we have to look at diet and lifestyle. Type 1 Diabetes is an autoimmune disease. There are dietary factors in autoimmune disease, but they’re not the same factors that contribute to Type 2. If you want to read about Type 1 Diabetes, you can take a look at this post; everything else about diet and lifestyle below will be focused on Type 2. People with Type 2 Diabetes have insulin resistance. They make plenty of insulin, but their body doesn’t listen to the insulin signals, so their blood sugar stays dangerously high. At first, the pancreas responds by making even more insulin, which temporarily forces the muscle, fat, and liver cells to accept the glucose. But it’s basically like a shouting match where the pancreas keeps screaming “take the glucose” louder and louder by producing more insulin and the rest of the body keeps turning up its headphones higher and higher by becoming more insulin resistant. Eventually, the pancreas can’t make enough insulin to force the body into accepting the glucose. But how do people start getting insulin resistant in the first place? There’s a very oversimplified story that “eating carbs raises insulin, which causes insulin resistance, which causes diabetes,” but plenty of healthy traditional groups eat high-carb diets without getting diabetes. Maybe the carbs in the modern diet are part of the story, but what other parts of our diet or lifestyle make the carbs dangerous to us, when that same amount of carbs is fine for the Kitavans? Here are a few possible answers. Being Sedentary Contributes to Insulin Resistance. Muscle tissue is one of the major storage areas for glucose (carbohydrate). Insulin stores glucose as glycogen in the muscles, so it’s right there if you need it for a burst of sudden movement. Depleting glycogen stores in the muscles makes room for more glucose to show up and fill them again. That glucose has to come from the glucose in your blood, so every time your muscles need to refill their glycogen stores, they do it by reducing blood sugar. Exercise helps keep blood sugar levels down and reduce insulin resistance. Many people today have completely sedentary lives, so they never deplete the glycogen stores in their muscles. So when insulin comes knocking, trying to put more glucose into the muscles, the muscles resist the insulin signal. For physically active people in hunter-gatherer societies, a higher-carb diet might be totally fine because their muscles are constantly sucking up more glucose to replace what they use during exercise. For sedentary modern couch potatoes, that same diet might be dangerous, not because the carbs magically became “bad,” but because the lifestyle context changed. Gut Problems Contribute to Insulin Resistance. Gut health might also make all the difference in causing or curing diabetes. 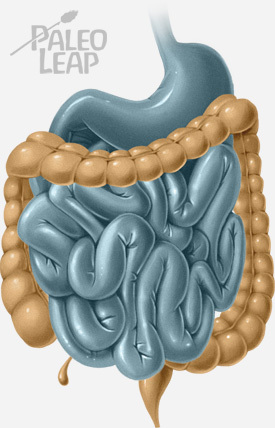 The gut flora (the friendly bacteria that live in your gut) affect insulin sensitivity and insulin resistance. For example, they’re important for breaking down and synthesizing some nutrients, like choline, that your body needs for proper blood sugar regulation. People with diabetes have different patterns of gut flora than healthy people. Drugs for Type 2 Diabetes, like metformin, work partly by changing the gut flora. This is particularly true in Type 1 diabetes (since autoimmune diseases are very strongly linked to gut health), but it’s also true for Type 2. In fact, the changes to the gut may even be one reason why Type 2 Diabetes has an autoimmune connection. Gut flora changes could also be one link between Type 2 Diabetes and obesity. Life in the modern world is full of gut-health threats that our ancestors just didn’t have to face. Antibiotics are one huge example – sure, it’s totally worth it to not die of pneumonia, but penicillin really does a number on the gut flora. Sleep Deprivation Contributes to Insulin Resistance. Another factor that makes higher-carb diets dangerous is sleep deprivation. Sleep deprivation reduces insulin sensitivity by affecting important hormones for healthy insulin regulation. For example, sleep deprivation raises levels of the stress hormone cortisol. Cortisol keeps your blood sugar high. If you had to run away from a tiger, that would be really helpful (think of how much energy you have with high blood sugar), but as a chronic, constant state of living, it’s a problem. Sleep deprivation also damages the beta cells in the pancreas that produce insulin. And it causes gut problems, which then go on to cause insulin resistance of their own. Inflammation Ties it All Together. Too much Omega-6 fats, and/or not enough Omega-3s. In terms of food, this means too much industrial seed oils, and not enough fish. Psychological stress (e.g. feeling beat up by a lousy boss all the time). Diabetes is a Lifestyle Disease, not a Carb Disease. There are other factors too (e.g. environmental toxins and artificial estrogens, and the question of calorie surplus independent of carbs). There are probably a bunch of factors that we don’t even know about yet. But the point is that diabetes is about more than carbs. And a helpful intervention should also be about the big picture, not just about carbs. The modern Paleo diet was basically designed to solve exactly that problem. It’s really about treating lifestyle diseases like diabetes and metabolic diseases underlying obesity (which in many ways is a symptom of hormonal problems). When it comes to diabetes, the goal of Paleo is to address all the factors that contribute to insulin resistance. It’s not limited to carbs, and it’s not even limited to diet. 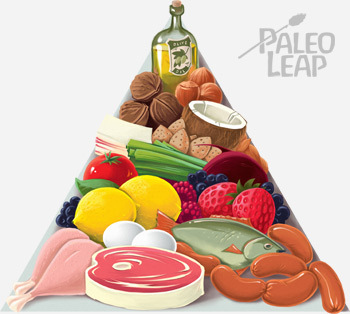 Here’s a look at how Paleo address all the problems above. Carbs and Fat: Which is Good and Which is Bad? The USDA “Diabetes food pyramid” is based on a high-carb, low-fat diet. That approach gets a lot of scorn in Paleo circles, because it just doesn’t seem to make much sense. To break down carbs and use them for energy, you need healthy insulin function. People with diabetes don’t have healthy insulin function. So a carb-based diet will just keep them stuck in that awful cycle of sugar highs and crashes, right? How does that make sense? A lot of recent research basically backs that up: low-carb diets can be very effective for Type 2 Diabetes. Some research (like this study) shows that low-carb diets may be particularly effective for people with insulin resistance. But it’s worth noting that “low-carb” in these studies can be up to 40% carbs by calories, which is medium-high carb by Paleo standards (room for a couple of potatoes every day). These improvements aren’t coming from a straight diet of steak and lettuce. Some people might do very well on that – a very low-carb ketogenic diet can also be great for diabetes. But other people might feel better with more carbs, especially in the context of other anti-diabetic lifestyle factors. This study found that, in teenagers, a low-calorie diet with 40-45% carbs was just as good as a diet with 55-60% carbs if the subjects exercised and took metformin. What about the fat? The problem with fat is that when eaten together with a lot of refined carbs, fat really is very fattening. And the wrong type of fat is legitimately dangerous: trans fats are inflammatory and do contribute to metabolic problems. But this meta-analysis found that a Mediterranean diet with lots of olive oil was actually better than a lower-fat diet for preventing Type 2 Diabetes. And this study found that in humans, saturated fat doesn’t affect insulin sensitivity. The upshot: Recent studies suggest that the “common sense” idea of reducing carbs really does pan out. A lower-carb (40% or lower, not necessarily super-low), higher-fat diet may be helpful for most people. If you’re eating Paleo, you’ll probably be there without trying, even if you’re eating starchy vegetables every day. Some people might feel best on a very low-carb diet, but not everyone needs to go there. This still doesn’t mean that carbs “cause” diabetes. It does mean that for people who are already metabolically sick, reducing carbs can be a therapeutic option to treat the existing problem. Paleo also focuses on lifestyle choices like exercise (even gentle exercise helps improve insulin sensitivity) and the importance of good-quality sleep every night (not optional. Really, not optional.) And of course, Paleo is a good diet for weight loss, particularly losing belly fat. There may be such a thing as “healthy obesity,” but the apple-shaped, beer-belly pattern isn’t it. Belly fat (technically “abdominal obesity”) independently causes inflammation and insulin resistance. Paleo isn’t a magical diabetes cure-all, but the latest research into diet and diabetes basically supports a low-moderate-carb, nutrient-rich, fiber-rich Paleo-style diet over the standard Diabetic food pyramid. And the lifestyle focus on sleep and stress is just as important as the diet factors. But even more important than averages out of studies is individual variation – different diets work differently for everyone, so it’s always useful to experiment and find out what works for you, even if it “shouldn’t” work on the average person.